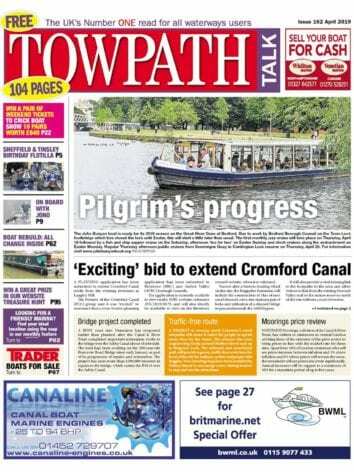 A COVER taster on the book Bridgewater Canal Through Time states ‘The No.1 Best Selling Colour Local History Series’ so the format of matching historical and current photographs of an individual locality is undoubtedly popular. The author is often a local enthusiastic collector of old photographs, often a librarian as in this case, so knowledge is good; although we did review the one featuring Northwich where the world-famous Anderton Lift gets barely a mention. They work for individual locations although I’m not sure that this one covering a whole waterway like the Bridgewater Canal does. 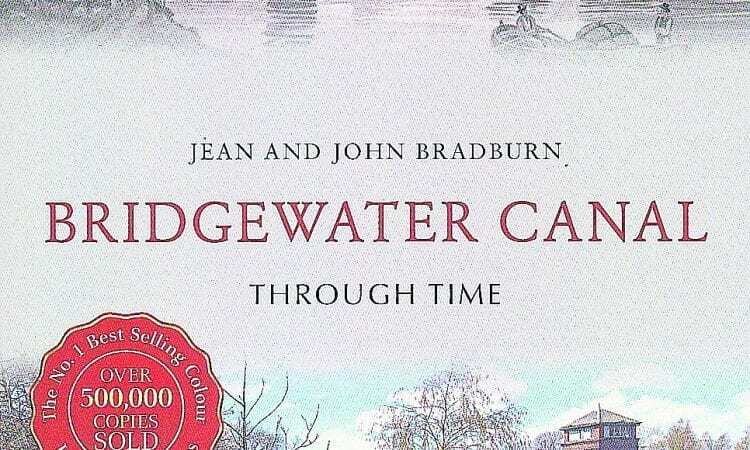 A canal is a seamless integrated transport link and – to me – authors Jean and John Bradburn seem to have treated it as a series of locations of which they managed to find a historical photo. They do say they have walked the canal from end to end but there is no indication they have ever boated it and truly experienced its character and ambience. Initially off-putting are the comparison front cover pictures. One rightly of the famous Aitkin print of Brindley’s Barton Aqueduct but accompanied by one of Barton Road swing bridge, and that obscured by trees. Probably a publisher’s choice as there is a perfect matching pair inside. I must admit that I am looking at this book as someone who has lived by, run a business on, photographed and written about the Bridgewater Canal for most of my life so am possibly being too critical. But in my home village there was one of the finest warehouse complexes on the canal, which the owners were allowed to demolish in the late 1960s to build houses. Photographs of these are well known and have been published in the waterways press, yet the ‘historical’ one in this book shows the site after the demolition. Yet having possibly been a bit nit-picking there is a lot of good content in this well-produced volume. Historic photographs that most general readers may not have seen before and competent yet rather static modern pictures of the same locations. For a busy cruising waterway very few boats are shown on the move. The authors have done some reasonable research for the captions, although in the bibliography they only quote four books. A quick glance at my bookshelf shows at least nine on this canal. Perhaps they should have simply gone through back numbers of waterway magazines? Good value for money though and a useful addition to the list of books on the Bridgewater Canal and waterways of the Merseyside area. A book which will be popular with the general public but waterway enthusiast readers may wish this publication had been created by someone more expert on canals. 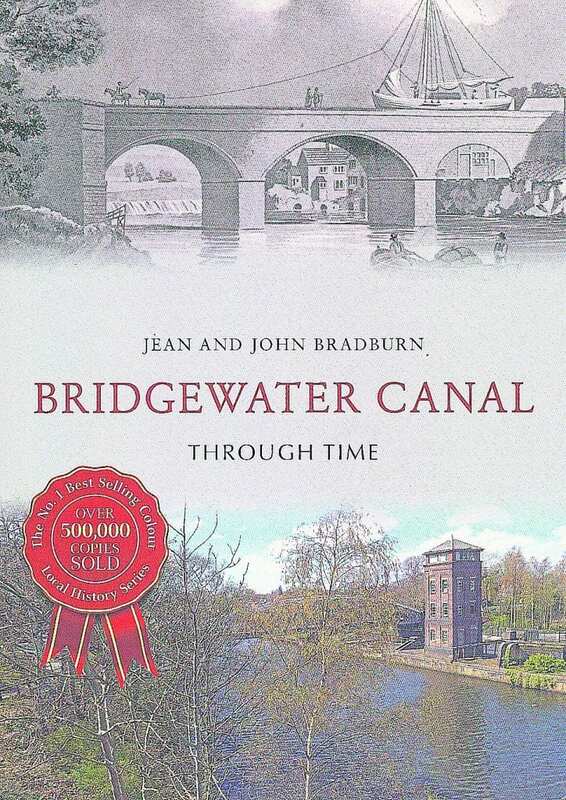 Bridgewater Canal Through Time by Jean and John Bradburn is published by Amberley Publishing in softback, priced £14.99.